Cast – Ranbir Kapoor, Nargis Fakhri, Aditi Rao Hydari, Shernaz Patel, Kumud Mishra, Piyush Mishra, Shreya Narayan, Moufid Aziz & Shammi Kapoor. 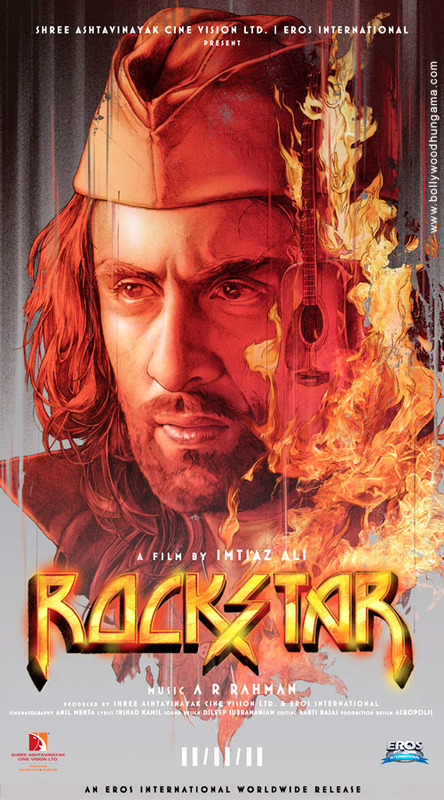 ROCKSTAR does not live up to the confidence and expectations from the otherwise very skilled and accomplished film-maker Imtiaz Ali. The film suffers immensely due to a disorderly screenplay, especially in its post-interval portions. However, the silver lining or the comforting prospect is the virtuoso performance by Ranbir Kapoor and the captivating score by A.R. Rahman, which justify that one extra star. On the plus side, the making is fresh and the canvas, big and wonderful. Dialogues, penned by Imtiaz Ali, are very natural. The film is extremely colourful and youthful and for that section of the youth, which won’t question the morals of Janardhan and Heer, the film becomes a veritably enjoyable fare. Again, a minus point of the drama is that comic and light moments are few and far between. The second half, especially, becomes dark and even depressing. Emotions don’t draw tears. The fact that this romance unfolds on screen in the form of an explosive musical, capturing JJ’s transmutation into Jordan, the edgy artist, makes the film an absolutely engaging affair. The vocals by Mohit Chauhan, the lyrics by Irshad Kamil and the music by AR Rahman are stuff classics are made of. Savour a beautiful experience. Watch Rockstar and wait for Imtiaz Ali’s next from his compendium of love. In these times of instant gratification, here’s a film that makes you think. Not a perfect film, but one that stays with you long after the lights have come back on. Apart from its stray sparkling moments, there’s another reason to catch Rockstar: Ranbir Kapoor. His performance is brilliant, limned with unwavering conviction. He elevates ordinary scenes to another level. Aah, so is Rockstar good or bad? Neither. It’s in between. 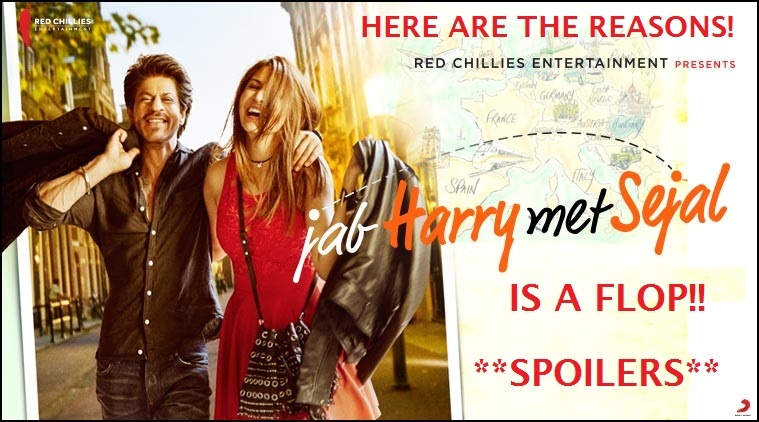 Imtiaz Ali’s sensibility ensures that Rockstar, for the most part, steers well clear of the cliches that usually hound the average Bollywood love story. But despite all the frenetic movement in space that Rockstar offers, the film really goes nowhere. It feels strangely static. Sadly, the narrative, lacks the substance that a film as long as this would have needed to sustain itself. Rockstar has a Sufi soul. If only it had been set free and allowed to go the whole hog! AR Rahman’s music is the soul of the film. What is missing is the spine, leaving just a jelly in place. I think one problem with the film is that it is about a grand passion, and mainstream Hindi cinema is not equipped to show a grand romance except in the most inane form, This is a film that lacks discipline. From its start, to the way it progresses, you can tell, the film’s been through various stages of editing and several second thoughts. Sometimes the patchiness shows. It’s a stretch. Anything that’s 18 reels long (close to three hours) in a flickering world of low attention spans would be. Something fizzles out towards the end. You still don’t begrudge a movie that’s been this engaging, entertaining thus far. Imtiaz Ali does a MAUSAM with ROCKSTAR. Doing a Mausam simply means loving your work so much to the point of getting obsessed and losing objectivity. If only Imtiaz had curtailed his obsession and let some scenes go, ROCKSTAR could have achieved cult status like ROCK ON. The ratings are strictly for Ranbir and A R Rahman’s music.